See the birthplace of one of the world’s most enduring figures: Leonardo da Vinci during this short, guided tour of the town of Vinci. 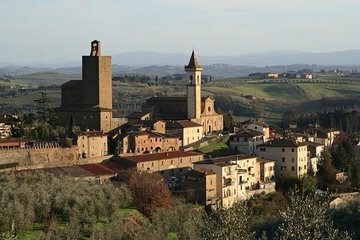 Tucked into the hills of Tuscany, this town is where you’ll learn about da Vinci’s childhood years and the influence of the town on his interests. Walk the streets with your guide and visit the local museum where sketches and artifacts are on display.